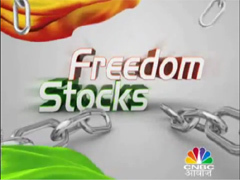 Freedom Stocks 2012 — On occasion of Independence day, CNBC has suggested 15 such stocks in which you can invest and can get rid of worries. As per them this stocks are just invest and forget they will defiantly give you good returns. 7 stock market experts have suggested here that how these stocks will reap you good returns in few years. There are 15 stocks for long term means more than 5 year. This is from CNBC Awaaz Freedom stocks. Let’s check out which are these stocks. Do you think that these stocks can give you good returns? Do you think that experts have suggested right stock for investments? Yes L&T and SBI is good stocks and i have earn good return from these stocks…. As these stocks are suggested by experts they will defiantly provide good returns.